A perfect "just like new serene get-away from the hustle and bustle of every-day life. The entire house exemplifies European elegance and simplicity, enticing the senses with peace, architectural details and high cathedral beam ceilings. Built in 2013, this contemporary open plan residence is bright and airy with dreamlike picturesque views from its two elevated levels. Whether you are looking for a vacation home with a possible lucrative rental income or a permanent residence, the tranquility of the location will have you mesmerized. 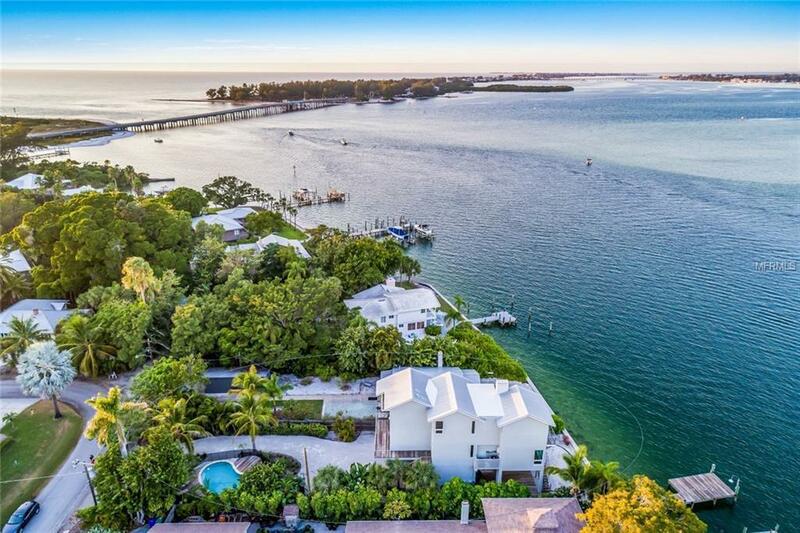 Imagine waking up to the view of Jewfish Key from the top floor master suite and being in touch with nature as you have your coffee on your private balcony exhibiting breathtaking views. A truly exceptional spot for entertaining, whether in the front yard by the pool or in the backyard by the dock overlooking the bridge. The home is conveniently located just steps away from the historic Long Beach neighborhood called the "The Village, known for its impressive arts community, and amenities you have been dreaming about including al fresco dining, shopping, kayak launches, boat dock ramps and the proximity to impressive public beaches. Additional Lease Restrictions Please Contact The City Of Longboat Key Regarding Lease Restrictions And Details.